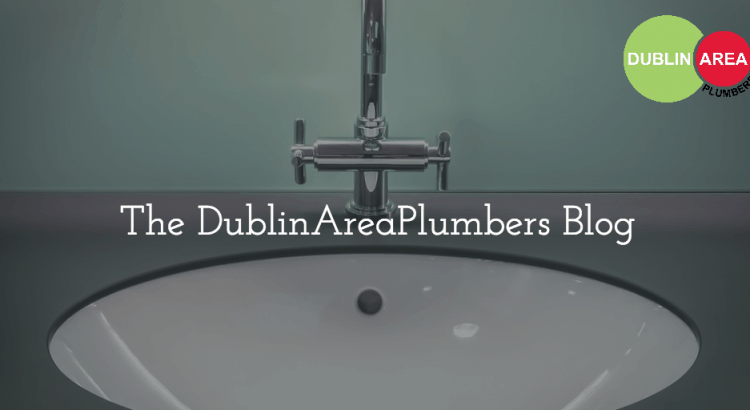 A look back at some of the plumbing services carried out by Dublin Area Plumbers during the month of October. Whether you search for Plumber Dublin or Plumbing Services Dublin, you will find Dublin area plumbers at the top of the list. That’s because Dublin area plumbers are number 1 for the quality of service with a proud 5-star rating. Here a just a few examples of plumbing work carried out by Dublin Area Plumbers over the month of October. 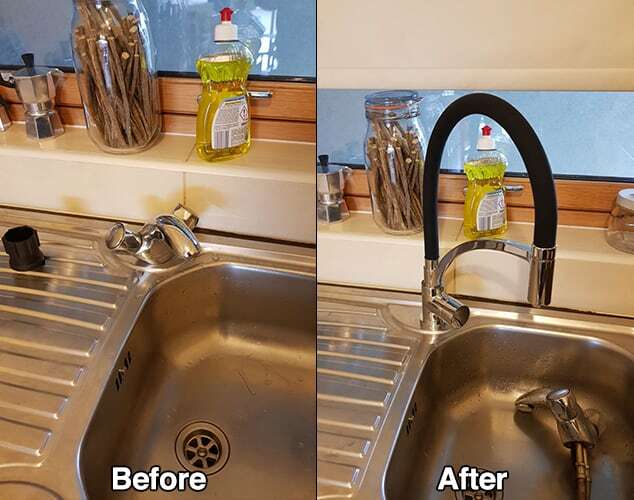 This was a kitchen sink that had been fitted with a bathroom wash hand basin mixer tap. The customer had been living with this set up for 2 years and finally decided enough was enough. He ordered a nice looking kitchen tap online and called Dublin area plumbers to install it. The only day our customer was available was a Saturday which wasn’t a problem at all. The job was done and dusted in less than an hour. 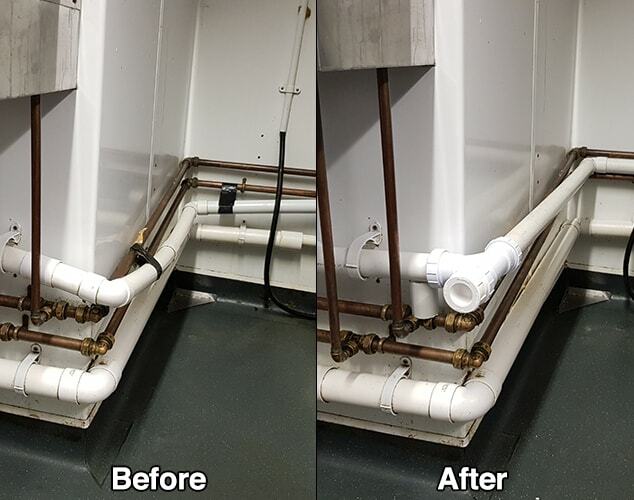 This basin waste was a high-end chrome bottle trap with a chrome metal waste pipe extending off it, the type of basin trap you would use where the waste pipework is exposed. But in this case, it was covered over by a pedestal so there was no need to have such a fancy looking bottle trap there as it couldn’t be seen. Over time the metal waste pipe connected to the bottle trap corroded and started leaking. 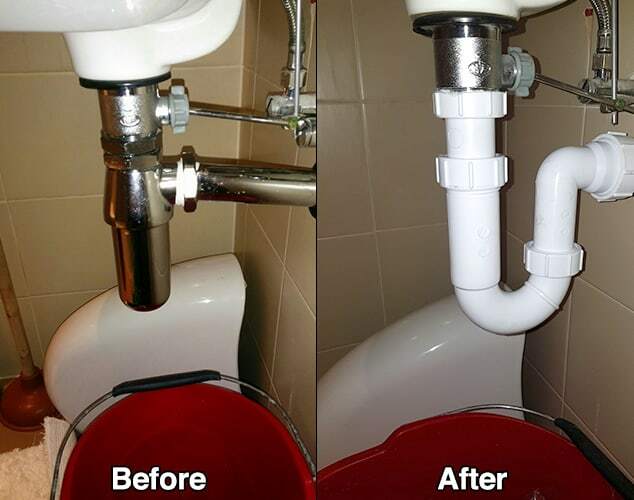 The best option was to replace the complete basin waste system with a durable plastic p-trap and waste pipe. The new trap worked out perfectly and was hidden out of sight by the pedestal. 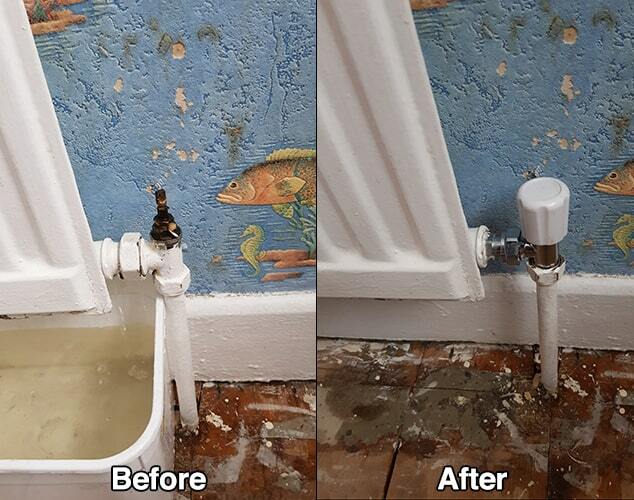 A hot water cylinder was installed in this house by an unqualified and inexperienced plumber. Instead of using a proper copper pipe, plastic pipework was used. 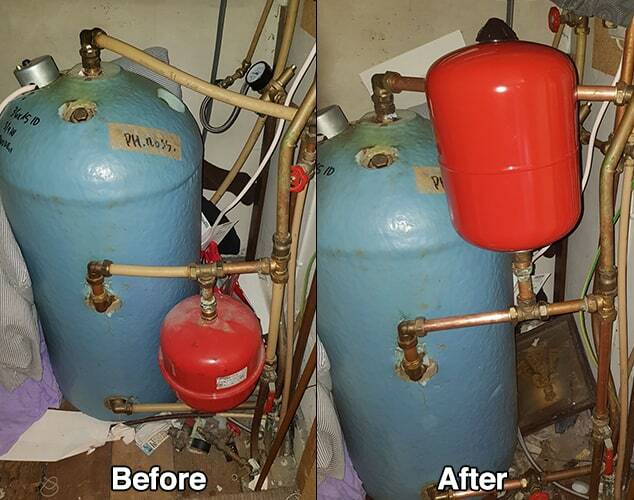 Plastic plumbing pipework should never be installed within 1 meter of a heat source, a hot water cylinder would be considered a heat source. As a rule, plastic pipework should never be used in a hot press or in a boiler house. It begins to sag and gets unstable over time. It also looks unsightly. Copper is much neater and safer. 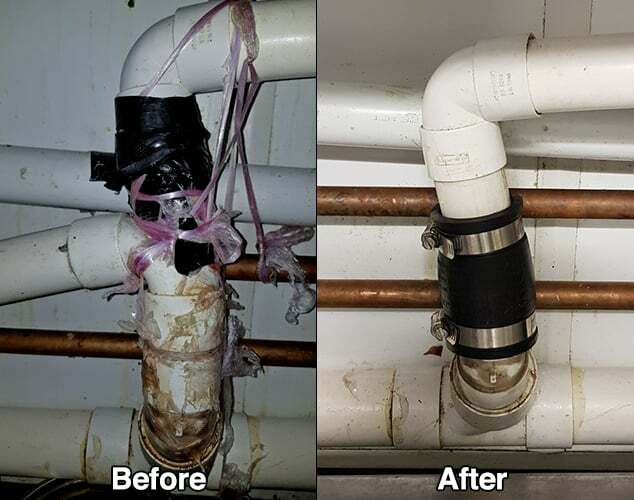 A waste pipe under a commercial kitchen sink had been leaking for a long time and had been patched up by numerous kitchen chefs and kitchen porters until they gave in and called Dublin Area Plumbers. As it was a busy Dublin restaurant so the quickest and simplest way to repair the waste pipe was to remove the decommissioned branch and remove the tee piece. A heat resistance fernco fitting was used to connect the pipes back together. There was no need to repipe the entire sink. The sink was back in action in under half an hour. A Plastic waste pipe from a KP sink had sagged and bent out of shape over time. It hadn’t been supported properly and kept blocking up. A waste pipe in this condition cannot be repaired, it has to be replaced. The damaged section was replaced and supported with new waste pipe and a rodding point installed for easy cleaning if it ever gets blocked again. This was a bathroom rad that had a leaking rad valve. Over time the older type of rad valves can leak from all the turning on and off. Most of the time the leak can be fixed by tightening the gland nut on the valve, but this one was beyond repair. The only thing for it was to replace it completely.